Nothing is fresher than real ingredients. Our October specials include our popular house guacamole with fresh cilantro and lime, a seafood special with sustainable scallops and shrimp, and cool cocktails with seasonal fruit. 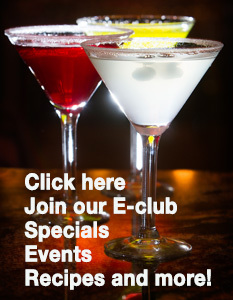 Try our newest specials, and tell us what you think on Facebook! Bourbon, vodka, and rosé all day. The best part of these cocktails are the fresh fruit, cane sugar, and spices to complement the other natural flavors. If you prefer red or white wine, stop by on Wednesdays for half-off all bottles. Madrones always uses real ingredients for the freshest flavors in Frederick, Maryland. 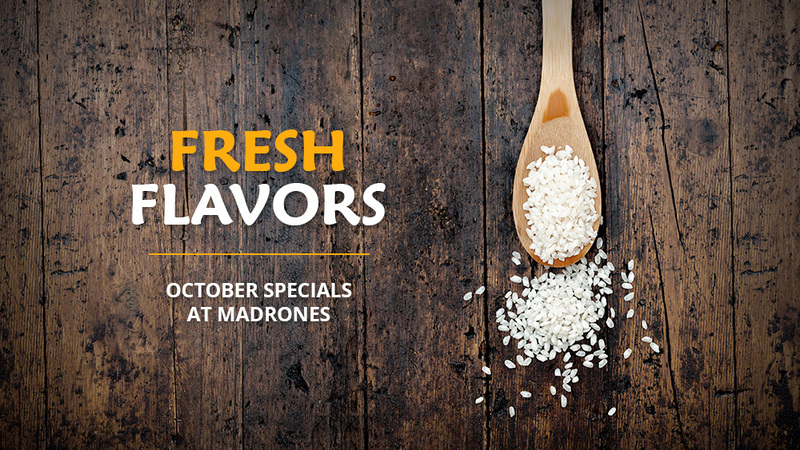 From our house-made guacamole to our seafood risotto, these October specials are bursting with freshness.